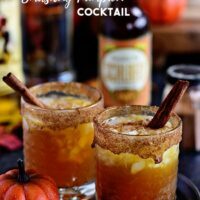 Fall spices, pumpkin ale, and equal parts spiced rum and butterscotch schnapps make this Smashing Pumpkin Cocktail the best thing to hit your cocktail glass this fall! 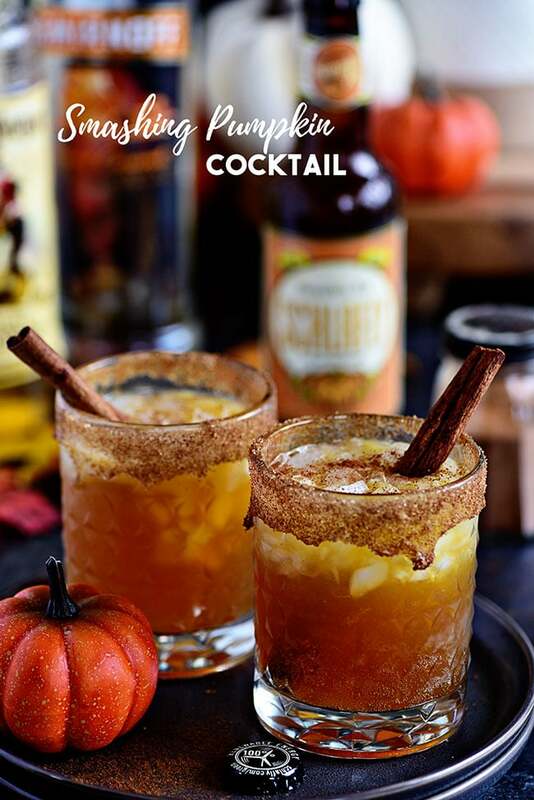 This craft cocktail is downright delicious and perfect for all your fall gatherings and Thanksgiving! Drink up witches because today things are getting spooky. I’ve got a pumpkin cocktail so addictive you’ll think someone cast a spell on you. You won’t want to let pumpkin season pass you by without trying at least one, or 4, glasses of this Smashing Pumpkin Cocktail. The best part is you don’t even need any witchy powers to throw it together. So, whether you’re throwing a spooktacular party, or it’s just one of those nights that need to be topped off with a drink, grab a pack of your favorite pumpkin beer, and let’s get started. Coat The Rim: In order for this drink to reach its peak potential, you must do the cinnamon-sugar rim. I mean, I guess it’s okay if you don’t want to take the time, but you’ll definitely be missing out. It only takes a few minutes to put together and transforms your creation into a craft cocktail any bartender would be proud of. I promise you will thank yourself for not skipping this step. Mix In A Shaker: I can not stress this enough, USE A COCKTAIL SHAKER! It really does make all the difference when you’re combining several ingredients. Stirring will simply not create the same effect, and the taste won’t be the same. Plus you get to feel like all the cool bartenders when you’re shaking it up. Choose the Right Beer: Almost all craft beer brands have their own seasonal pumpkin beer now, so I suggest sticking with a brand you like because odds are you’ll like how they do their pumpkin beer as well. If you don’t have a specific go-to brand, then maybe test out a couple on their own before choosing the one to add to the cocktail. What’s In A Smashing Pumpkin Cocktail? I know what you might be thinking at this point. These pictures look amazing, and I’m definitely intrigued, but what the heck is in this drink?! Well, what makes this cocktail unique are the few unexpected ingredients that come together for the most amazing fall flavors. In your shaker, you’ll combine spiced rum, butterscotch schnapps, and orange juice, until well combined. Pour into your desired glass and top it off with your favorite pumpkin ale, and some bitters. Now, don’t turn away just yet if that list sounds strange to you because I know, butterscotch, pumpkin, and orange juice don’t seem like it would make a great combo. Hopefully, we’re close enough by now that you trust me when I say I would never do you wrong. The first taste of this concoction will have you in a seasonal cocktail trance. As I said before I would never steer you in the direction of a bad cocktail, but I will give you ways to make it even better! We tested this cocktail with multiple variations to decide on which one was the winner, and I won’t lie cocktail testing is probably my new favorite part of this job. We finally decided on the mixture you’ll find in the recipe card below, but that doesn’t mean the others we’re noteworthy as well. If you’re not a huge butterscotch fan, try replacing it with caramel vodka, for an equally tasty drink that packs a little extra alcohol content. When it came to testing with and without bitters, both options were great, but the bitters really help bring out the flavors to take it to that next level. What are Bitters? The short and sweet answer is that bitters are made from botanicals, like aromatic herbs, bark, roots, and fruit. They are then infused into a liquid base. They pretty much act as the salt of the cocktail to add an extra boost of flavor with every sip. Pumpkin Spice White Hot Chocolate a deliciously thick and decadent fall drink that does not include coffee – keep it on warm in a slow cooker for a party! Perfect for a chilly fall evening! 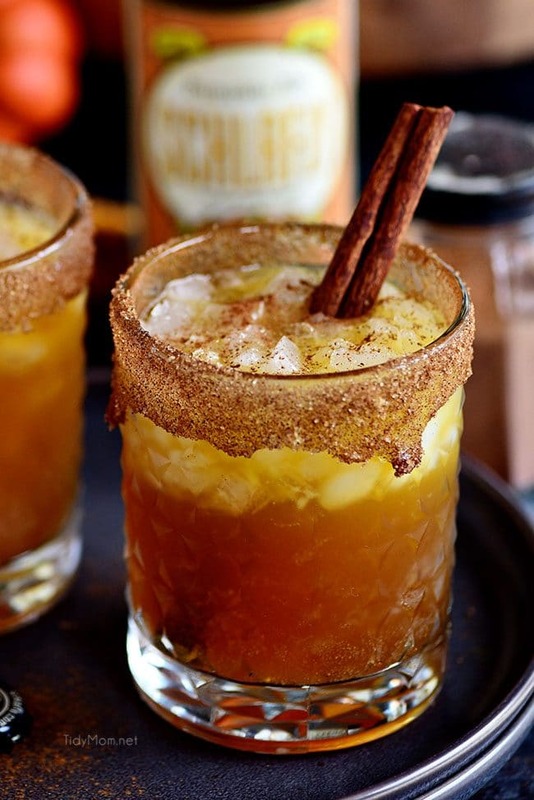 Autumn Spiced Rum Cocktail the perfect blend of spiced rum, spiced apple cider, and hard cider. Cinnamon and star anise! Pumpkin Pie Martini a fun dessert cocktail that is perfect for any fall get-together, especially Thanksgiving! German Mulled Wine a mix of a spicy mulled cider, sangria, and a punch. It’s sweet and tangy and tastes just like Christmas in a glass! Hot wine it’s guaranteed to warm you up on a cold winter day. Apple Cinnamon Old Fashioned an intriguing holiday cocktail, with subtle notes of apple and cinnamon. 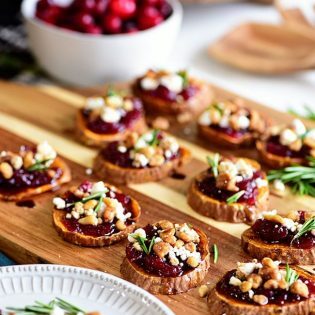 This old-fashioned variation is brimming with Christmas cheer for your holiday party! 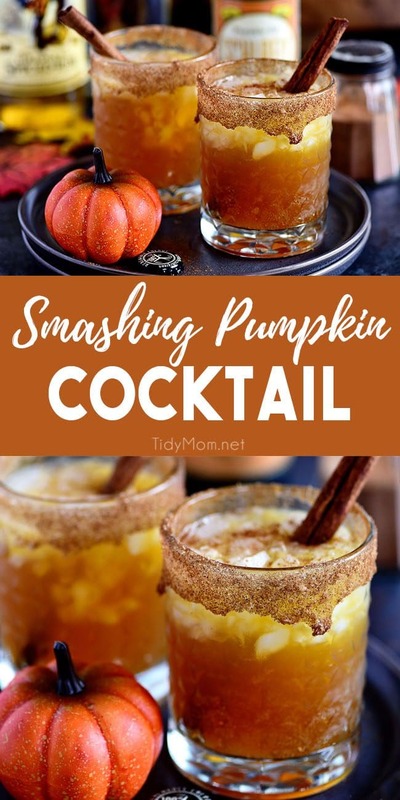 LIKE THIS SMASHING PUMPKIN COCKTAIL? PIN IT! I never get tired of fall flavors, and who doesn’t love pumpkin spice? 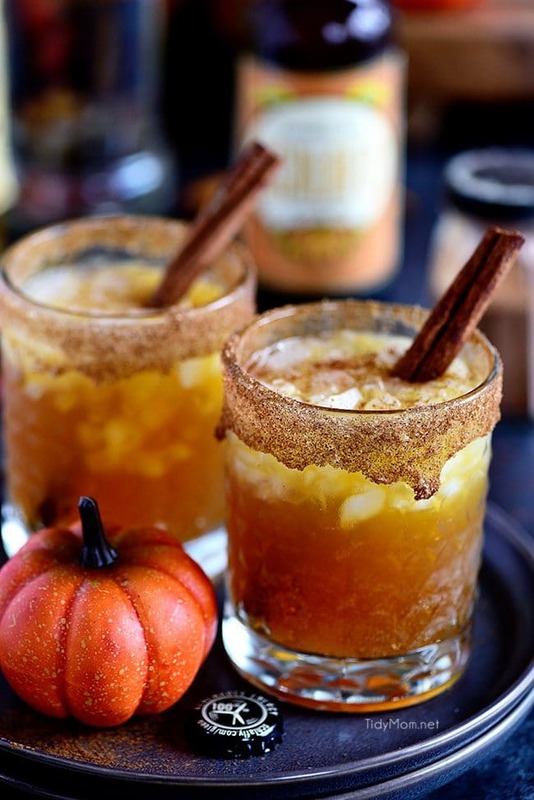 It’s time to get into the spirit of the season with a delicious pumpkin ale cocktail recipe! Who’s with me?! 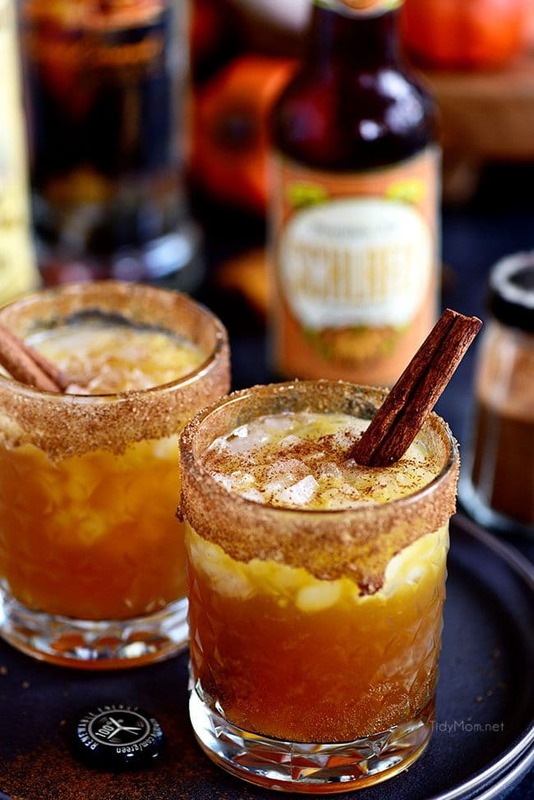 Fall spices, pumpkin ale, and equal parts spiced rum and butterscotch Schnapps makes this Smashing Pumpkin Cocktail the best thing to hit your cocktail glass this fall! Rim an 8-10 ounce glass with honey by placing a few drops on the glass rim and dragging it around the edge. Sprinkle a small plate with brown sugar and cinnamon and roll the glass rim in it until coated. Add rum, Schnapps or vodka, orange juice, and bitters. Shake and strain into a rimmed glass filled with ice. Top with pumpkin ale and garnish with a sprinkle of pumpkin pie spice and cinnamon stick. I’ll be whipping this cocktail up this weekend with our guests over! Sounds wonderful and perfect for this season! This is such a fun cocktail! Love it for fall! Ok this cocktail looks amazeballs! Is it happy hour yet? I’m so in love with this drink! It just just perfection! This seriously sounds absolutely amazing. All those flavors together must make this irresistible. Healthy and yummy! Love this for fall! So pretty, great job on the photos! Looks incredible! 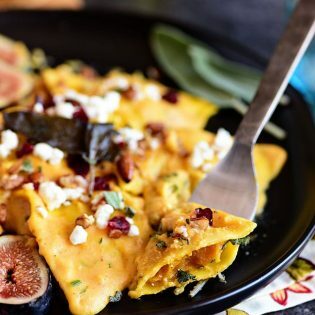 Love everything about this recipe, so festive and flavorful! Your photography makes me happy – so gorgeous!! And this drink sounds amazing. What would you suggest for a substitution for the Pumpkin Ale? I truly do not like beer in any form. Everything else sounds AMAZING!! Do you like hard cider? I just googled and found that several companies make a pumpkin hard cider that could definitely be used as a replacement to the beer. I will also say though that I hate the taste of all beers and I still loved the cocktail because there are so many other flavors that the beer taste doesn’t really come through as long as you give it a little stir once you top it off with the beer. If you try it with pumpkin cider check back in and let me know how it turned out! I could definitely throw some of these back! wonderful, just in time for the weekend and love being able to have an excuse for Butterscotch Schnapps! thank you for this cocktail!